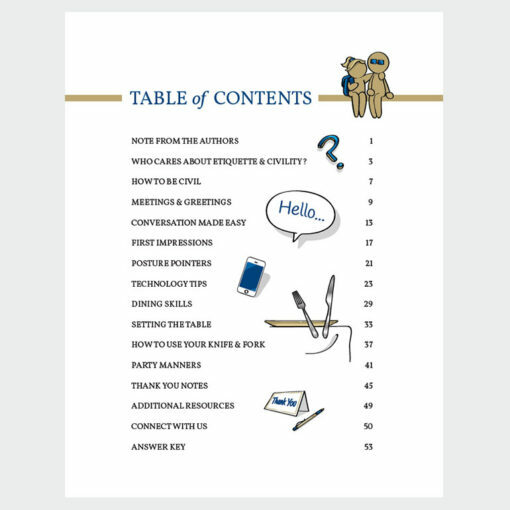 Authored by Deborah King and Melissa Case-Merritt. 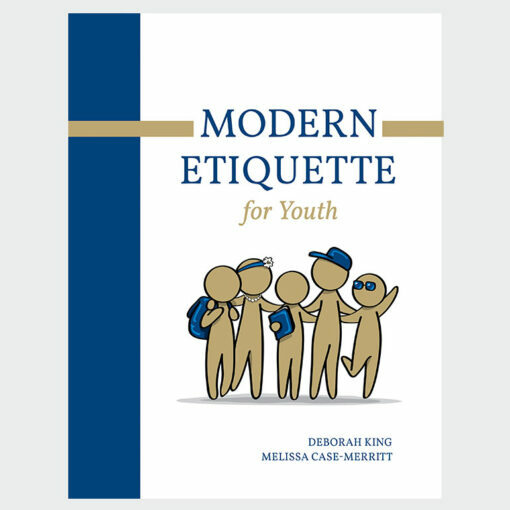 Modern Etiquette for Youth goes beyond how to “put on your best manners,” and instead focuses on instilling the values of kindness and respect in everything we do. 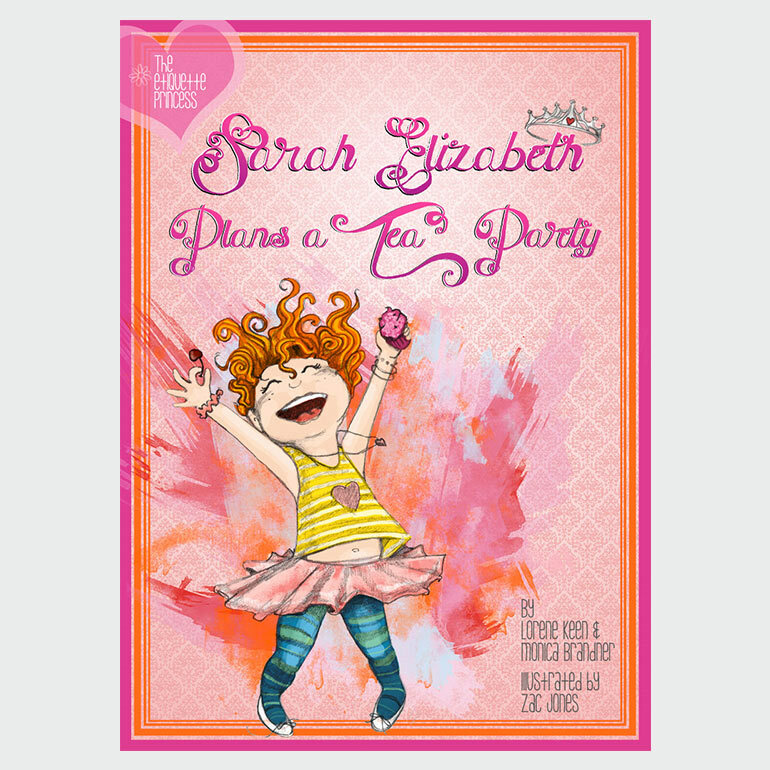 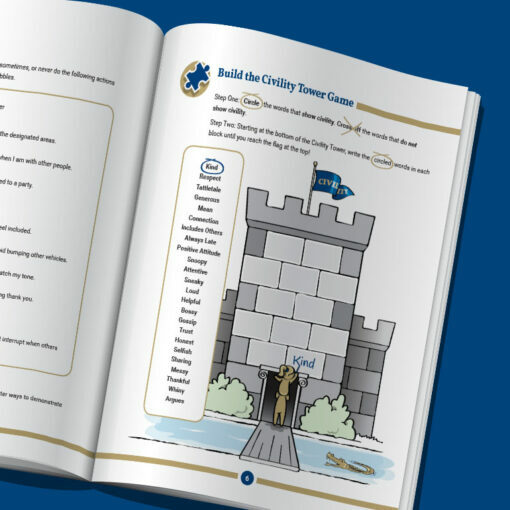 This full color, 60 page workbook features original artwork designed to engage today’s youth through visual examples that resonate. Practical lessons are followed by interactive games, quizzes, and activities to reinforce critical modern social skills. 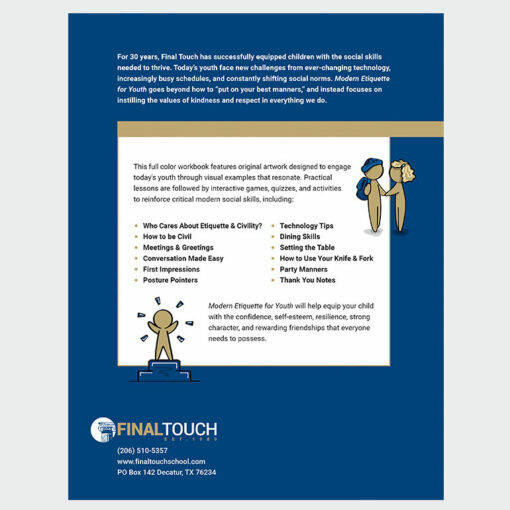 For 30 years, Final Touch has successfully equipped children with the social skills needed to thrive. 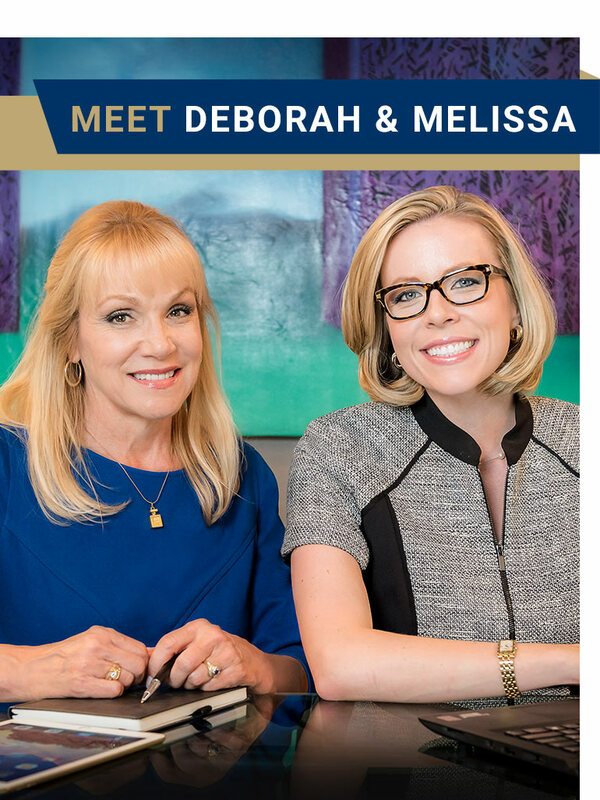 Today’s youth face new challenges from ever-changing technology, increasingly busy schedules, and constantly shifting social norms. Modern Etiquette for Youth goes beyond how to “put on your best manners,” and instead focuses on instilling the values of kindness and respect in everything we do. 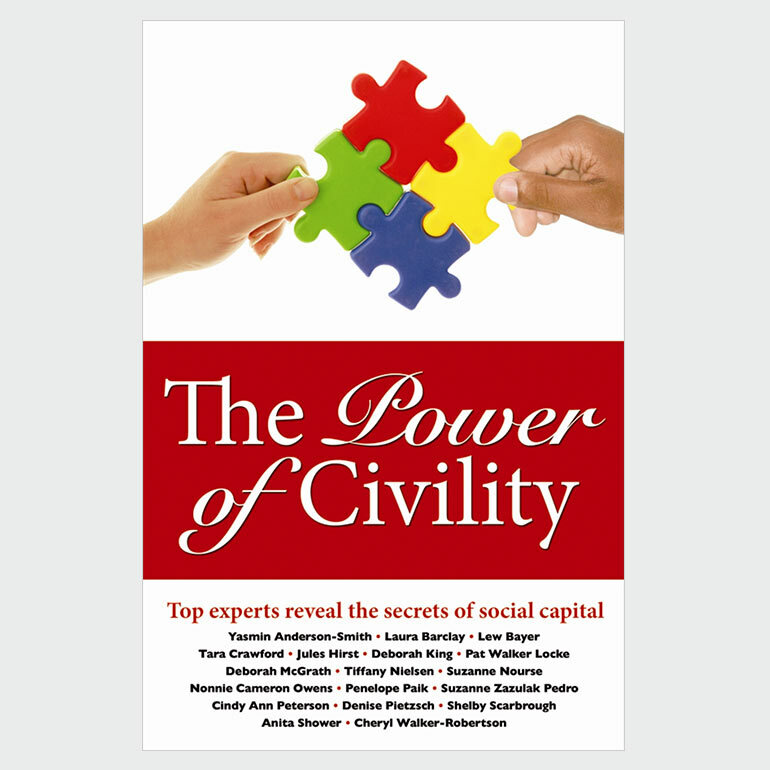 Who Cares About Etiquette & Civility? 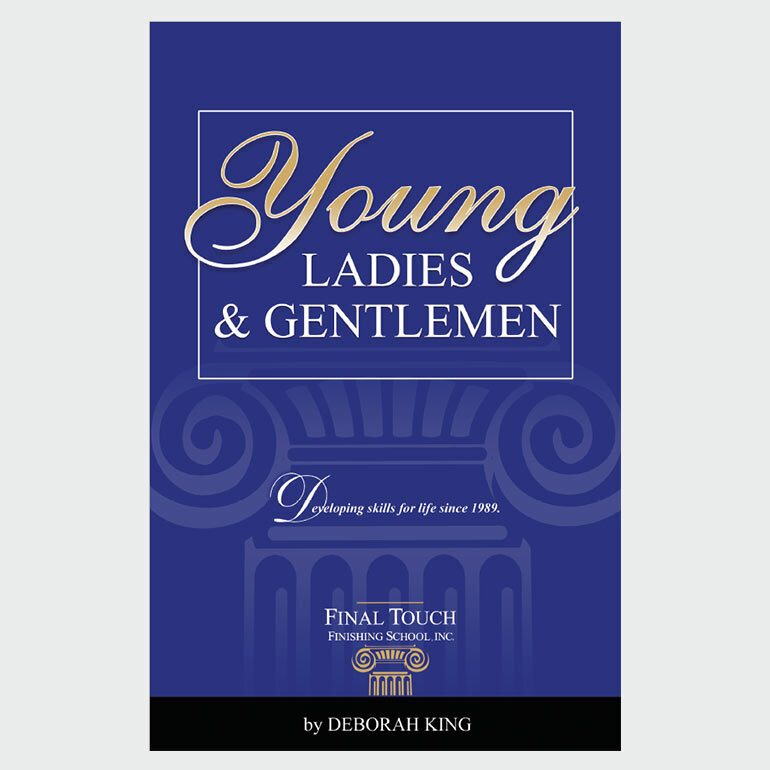 Modern Etiquette for Youth will help equip your child with the confidence, self-esteem, resilience, strong character, and rewarding friendships that everyone needs to possess.